Tanisha Shanee discusses how our past relationships are no April Fools to God because He knew that relationship was not supposed to last. In my new book, "Dear Single in Love" (now available on Amazon), I discuss how God sees the end first. Our relationships were no surprised to God and it should not be to you. Get your copy of "Dear Single in Love" outlines 8 Principles for Women Waiting for their purpose mate - and we do not mean the old jokers/fools we dated in the past. Close that chapter and prepare for what God has for you. Tanisha introduces her new book, "Dear Single in Love, 8 Principles for the Woman Waiting for Her God Ordained Purpose Mate" which will be released on Amazon, on March 26th. 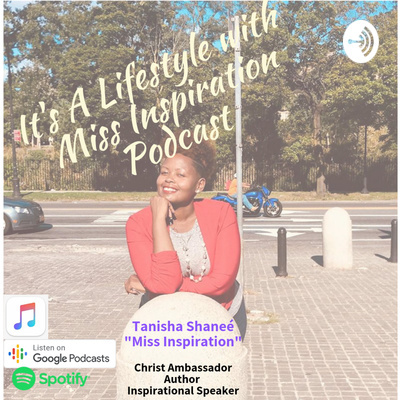 In this episode, Tanisha discusses what woman should not do and one of those things is saying, "I want/need a man." When you say and seek this, you will receive just that... Listen and share. 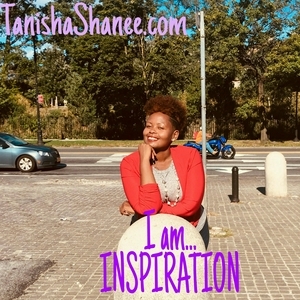 Also, pre-order your copy now at https://www.amazon.com/dp/B07P6MH6BJ/ref=cm_sw_r_cp_awdb_t1_ZI-DCbSEA3K27 Tanisha Shanee "Miss Inspiration"
Ep 14: To Accept Love Or Not? Stress. We can say so much about it. It has caused many illnesses and even deaths. At 22, I suffered from a mild stroke and from then I learned to stressing about things I had no control over is not and will not take my life. I later realized I needed to laugh more and pray because what would help the situation if I am in the hospital or dead? Many know what I mean. Let's find ways to let go of this thing called stress. Don't hold onto it. TanishaShanee.com I hold workshops pertaining to stress and the management of it. Let's work. Ep 10: The Past - Let Go! Ep 8: Dr King "Keep moving"
Stand strong even when you are being frustrated, afflicted, or punched around. But, hold on. Listen to Tanisha's weekly Saturday God Inspired Messages at TanishaShanee.com/HTBMinistry.html for the replay! #ItsALifestyle means we are strong! Miss Inspiration speaks on reclaiming the things you have given away. Let this be the year where you reclaim the person God needs you to be! Reclaiming who you are is the first step towards healing for your purpose! Visit TanishaShanee.com to take advantage of reclaiming you - join the next session.